Create delicious hors d’oeuvres that your guests will love, and that you don’t have to constantly monitor. Cold hors d’oeuvres can be created ahead of time and then simply placed on a platter the day of. Here are a few different creations you can make. 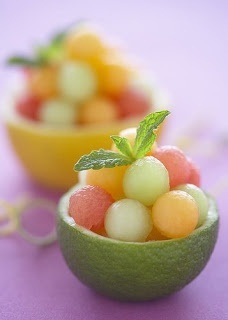 Use a melon baller to cut out tiny melon balls. Next, cut limes in half and scoop out the centers. The melon balls are placed inside the limes and you’ve created an adorable little fruit bowl that your guests will adore. You can also place cut strawberries and grapes inside if desired. Garnish each with a small sprig of mint. 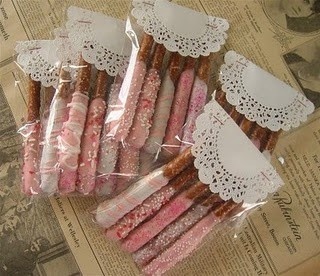 Purchase the long pretzels and white or milk chocolate. Melt the chocolate in a double boiler and dip the pretzels inside. You can make them pretty by rolling them in sprinkles or drizzling them with colored chocolate. To color the chocolate, simply melt white chocolate and add in food coloring to tint. These are adorable and will be a favorite amongst your guests. Purchase milk, dark or white chocolate and melt in a double boiler. 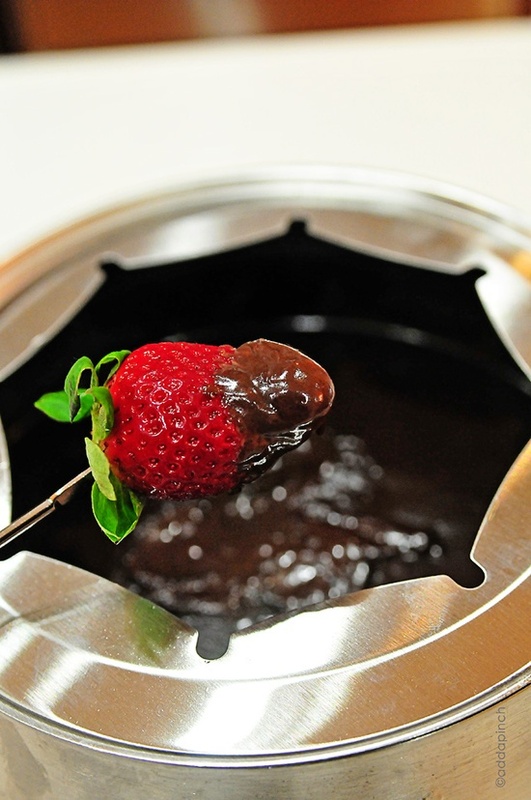 Place your melted chocolate in a chafing dish to keep it liquefied. Place treats on skewers so guests can dip them into the chocolate. You can use strawberries, cookies, crispy cereal treats, and a variety of other treats. These fun treats will delight your guests and after they’re created, you don’t have to do anything except watch them being enjoyed. This entry was posted in Edible Baby Favors and tagged baby shower food, hors d'oeuvres, menu. Bookmark the permalink.